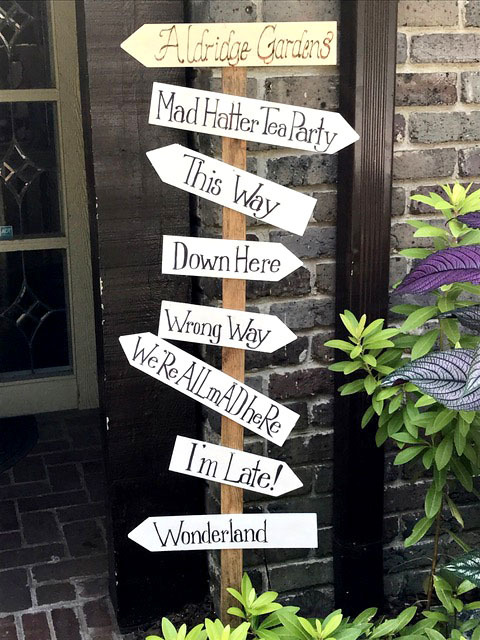 Description: Parents and grandparents, bring your child/grandchild to our Mad Hatter’s Fairy Garden Tea Party! This is the requested repeat of our smash hit Mad Hatter Fairy Garden Tea Party of July 2018. And this one is on Martin Luther King Day, so there’s no school that day. We will decorate a small garden container, then have “tea” (finger sandwiches and desserts) while the containers dry. We will play games, then pot up the containers to take home. Hats are welcome! Cost for Aldridge Gardens members $30, while non-members is $40. This form stopped accepting submissions on January 21, 2019 11:00 am CST.